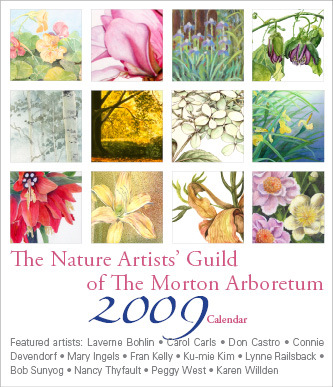 Guild Members: If you are interested in submitting artwork for our 2010 calendar, submissions are due September 26, 2009. In 2009, we produced a desktop calendar featuring the work of Guild members. They were offered for sale at the 2008 Holiday Exhibition; the 75 copies quickly sold out, generating some much needed revenue for the Guild. So, we are doing it again! This year, the pages will be commercially printed. However, we will be assembling them be hand, so will be looking for volunteers. This entry was posted in Volunteer!. Bookmark the permalink.